The fresh, modern design sculpted from aggressive and dynamic shapes is sure to catch your eye when you first approach the 2018 Toyota C-HR. The slick interior is crafted with premium materials and when you’re behind the steering wheel, a whole host of convenience and entertainment features await you. The Toyota C-HR was made to be as beautiful and easy to drive as it is practical. The 2018 Toyota C-HR is more than just a beautiful crossover. With the Toyota Safety Sense ™ P package standard, your CH-R will have a long list of cutting-edge safety features, like Lane Departure Alert and Automatic High Beams, to make every drive more enjoyable. 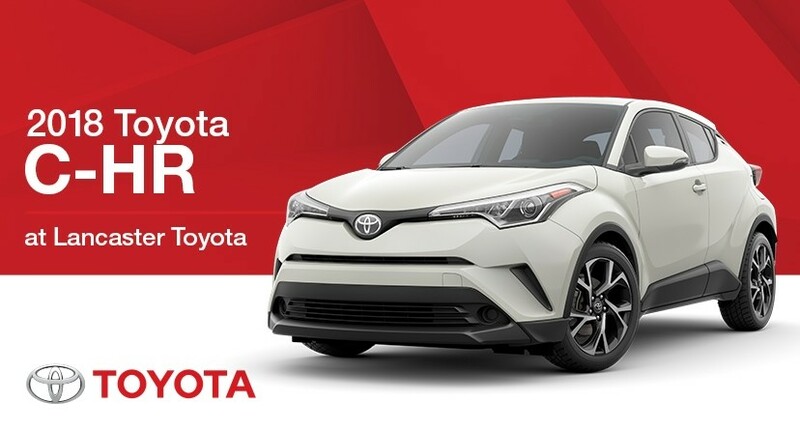 Visit us at Lancaster Toyota to learn more about the 2018 Toyota CH-R.